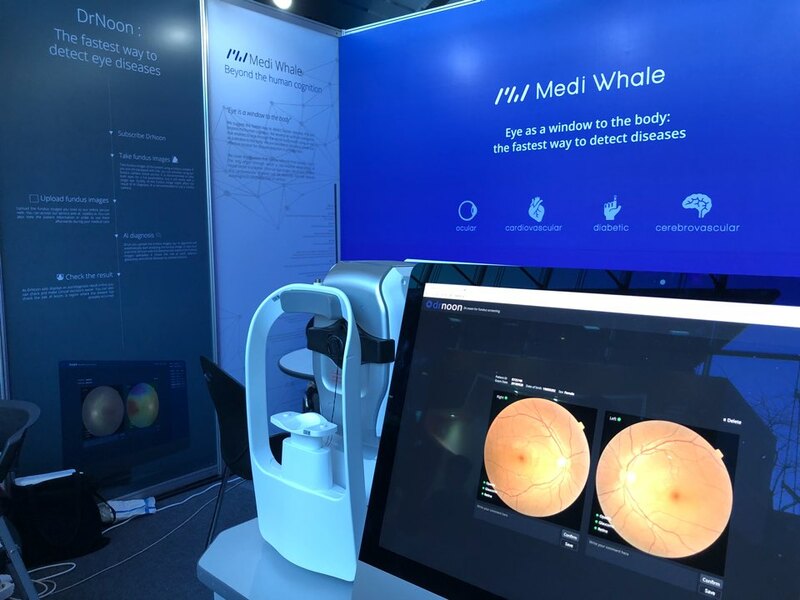 Medi Whale Inc. opens an all-in-one eye disease auto-diagnostic device at Asian Pacific Vitreo-Retina Society 2018 – Medi-Whale Inc.
On last 14th of December, Medi Whale Inc. opened an all-in-one eye disease auto-diagnostic device, in which artificial intelligence software and fundus camera are combined together. This medical healthcare startup, which develops a diagnosis system based on fundus photography, displayed the combined device during the Asian Pacific Vitreo-Retina Society(APVRS) 2018. Last September, Medi Whale started developing the auto-diagnostic device based on artificial intelligence after making a collaborative business agreement. In APVRS 2018, this co-developed product was first opened and now they are planning to move on for medical device approval, targeting the market in South Korea and Southeast Asia.